In the beginning of the war, the Allied bombers suffered large losses and switched to night bombing. Germany fitted radar to their night fighters which were also directed to the bomber formations by ground radar. 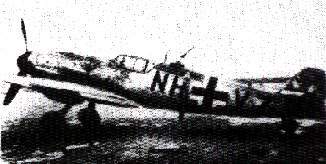 The "Lichtenstein SN2" with a band of 2m wavelength is shown mounted on a Ju 88G night fighter below. Major Lent scored 104 victories against invading aircraft. On the left a Me262 night figher jet is equipped with the "Lichtenstein" radar. 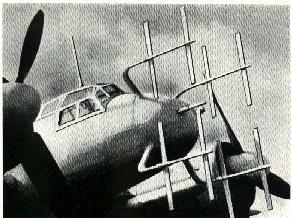 The "Lichtenstein" radar antennas provided much drag. Night fighters were equipped with the "NaxosZ" unit which could home in on the "H2S Home Sweet Home" radar set used in Allied bombers. See the arrow below showing a "NaxosZ" unit mounted on a Me109. A range of 50 km was achieved. These aircraft would dive on bombers which were being illuminated with spot lights and being shot at with flak. 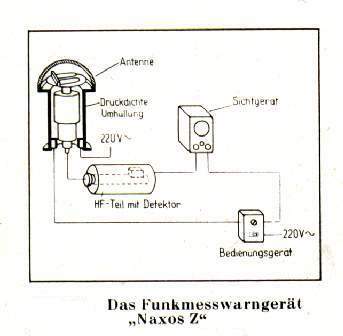 Only the "NaxosZ" was used to guide them against the target. 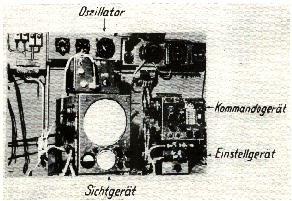 A network of "Korfu" aircraft warning systems using the "Kornax" radios were also deployed to warn against Allied bomber squadrons using the "H2S" radar sets. This was one of the most reliable early warning systems which could detect bombers taking off from their bases.